We weren’t really sure what we wanted to get up to on our second day in Sydney, but upon meeting up the night before our friend Doug convinced us we should leave the city center to visit him in the eastern suburbs. He offered to take us on a tour of some of Sydney’s best beaches, and we were happy to take him up on that offer. We took an uber to Doug’s seaside neighborhood of Clovelly, where we enjoyed breakfast with an ocean view before heading down to Gordon’s Bay to start our exploring for the day. All along the coast in this area of Sydney is a gorgeously maintained coastal walkway. It’s in its beaches that Sydney really shines, and I’m so happy that Doug convinced us to come out and see it. Over the course of the day we followed the track almost 6 kilometers from Gordon’s Bay to the famous Bondi Beach, enjoying spectacular views the entire way and stopping to beat the heat in the cool blue ocean waters. Sydney had totally stunned me by her beauty from the top of the Harbour Bridge – and here on the coast, she was doing it again. 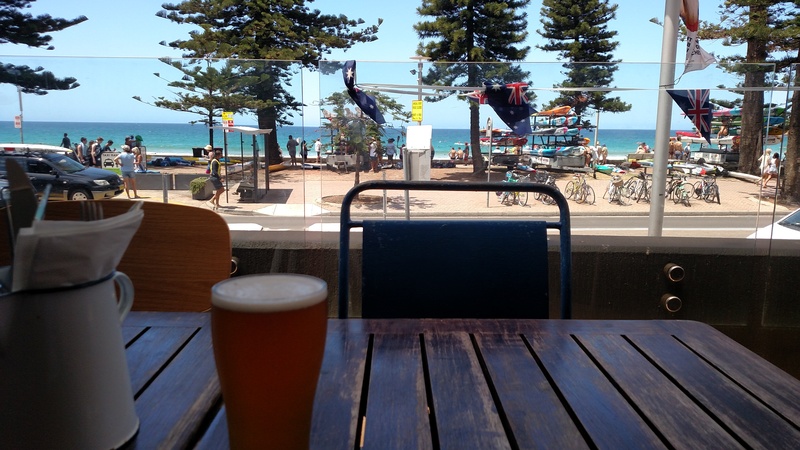 We hydrated ourselves with drinks overlooking Bondi before heading back to the city center to meet another friend for dinner in the Rocks. This historic neighborhood sits right under the Sydney Harbor bridge and was very picturesque in the humid evening light. 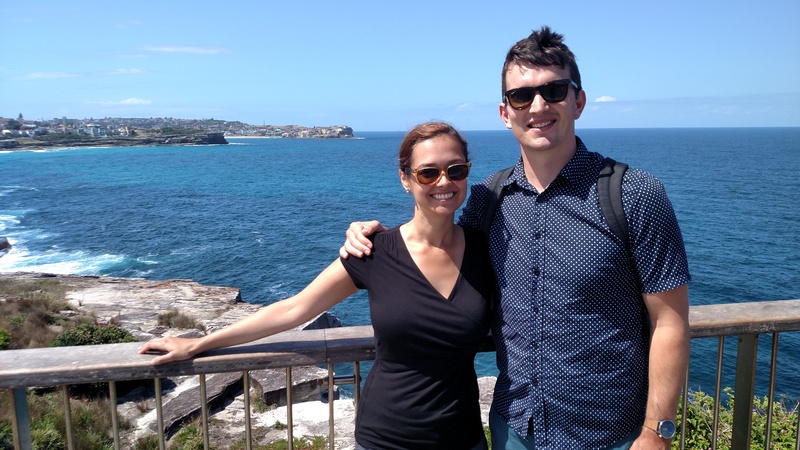 We decided to start our last day in Sydney back at the harbor, where we ate an overpriced breakfast with spectacular views in the shadow of the Sydney Opera House. Then we hoped on the Manly Ferry to see what this other famous beach town had to offer. The beach at Manly was also very beautiful, but very crowded. It just so happened that there was a massive surf lifesaving competition on on this day, and Tom and I delighted in lazily strolling the beach while the competitors darted in and out of different competitions. Manly was beautiful, but I thought the beaches of the previous day’s walks to be more stunning. In any case, the real reason we had boarded the ferry was not really to see Manly. 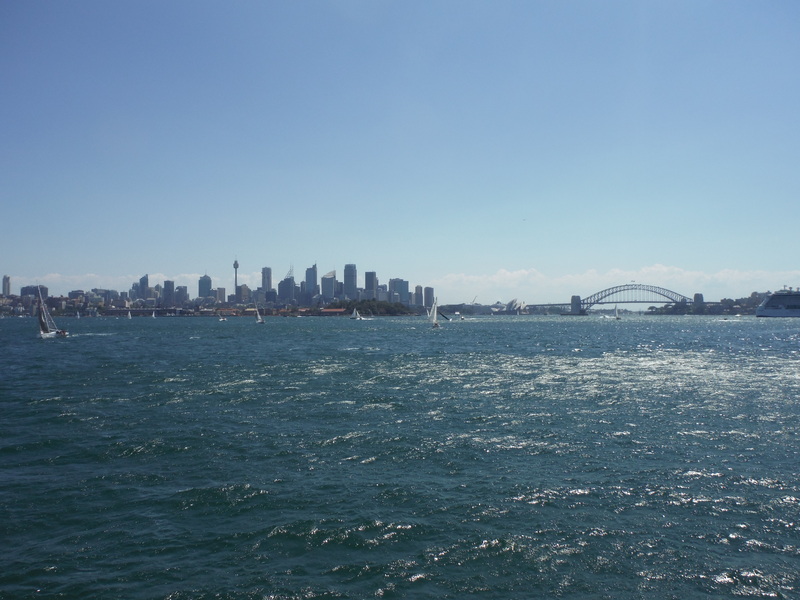 It is on this ferry trip that we were afforded some of the most spectacular views of Sydney and her gorgeous, glimmering harbor. Before we knew it, it was time to head back to the airport to board our afternoon flight back to Melbourne. I feel so lucky to be so close to such a stunning destination – but also lucky to call Melbourne home instead. 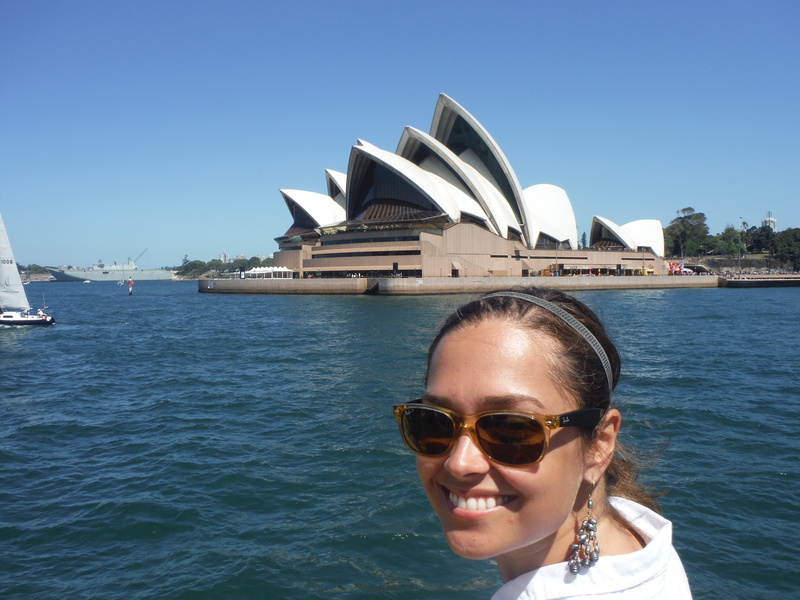 For me, 3 days was the perfect amount of time to take in Sydney’s sights and sun. It is in fact a gorgeous place, but personally I find it lacked the soul you see in Melbourne. Maybe I’m just bias, but I missed Melbourne’s rich food and drink culture, as well as its music and art scene. Sydney seemed so clean compared to Melbourne, and I missed the street art and grunge. Don’t get me wrong, Sydney is an absolute diamond of a city. It was totally stunning and I’m so glad I got to see it. But as we drove past the giant Chuck Norris mural that has recently popped up on our street, I thought to myself how weird Melbourne is, and just how much I like it that way. We stayed at The Tank Stream Hotel, which was very well located and well priced, and I’m happy to recommend. We traveled around the city using a mix of public transportation and Uber. We got our tickets for the Sydney Harbour Bridget climb here, and the Manly ferry at the kiosk in Circular Quay. The coastal walkway we enjoyed starts in Coogee and is free. You can find out more about it here.